I’ve made this recipe several times and it’s one of my favorites. The results are delicious and this stuff is super easy to make! (Once you hunt down culinary lavender, of course…) Lavender lemonade is the perfect summer drink, and it’s also pretty addictive. Nothing quite beats a tall glass of freshly squeezed lemonade on a hot day, but, couple that will lavender, and you’ve got a killer combination. 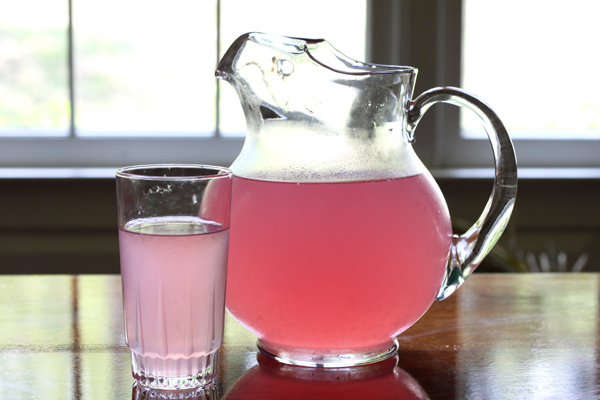 Adapted from Amy’s Lavender Lemonade on allrecipes.com. Place the lavender in a large loose tea filter bag, if you have one available, and place the lavender in a medium heatproof glass bowl. (If you don’t have filter bags, you can just put the loose lavender in, but you’ll need to strain it out afterwards.) 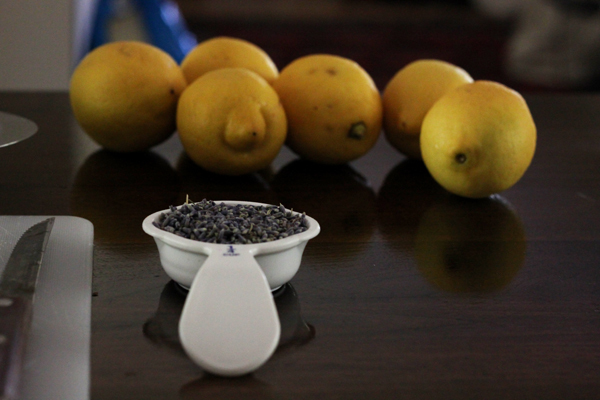 Allow to steep for about 10 minutes before removing the filter bag and discarding the lavender. 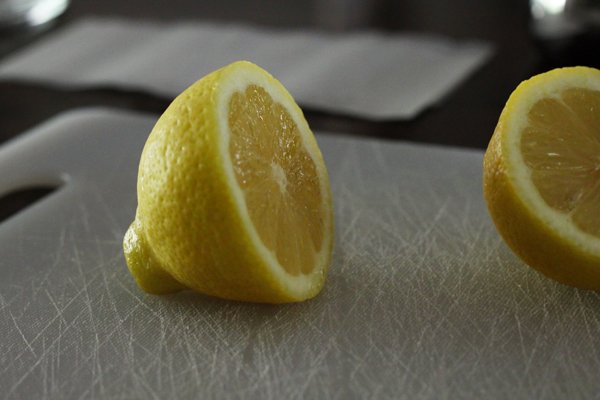 In the meantime, squeeze the juice from the lemons into a separate bowl or cup, making sure to catch seeds and excess pulp. 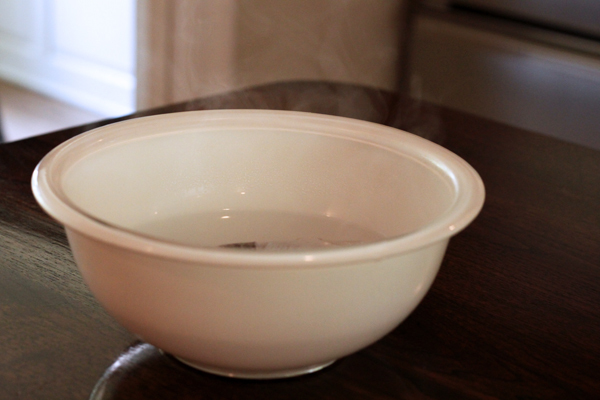 Add the sugar to the hot lavender water (after the lavender is discarded) and stir until dissolved. 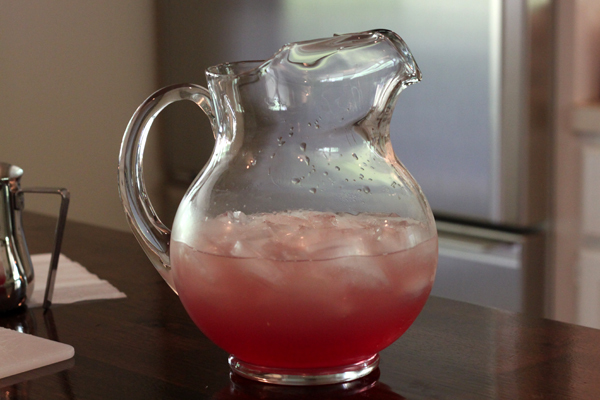 Place the ice cubes in a 2 quart pitcher and immediately pour the lavender mixture over the ice. Top off the pitcher with the cold water and stir. 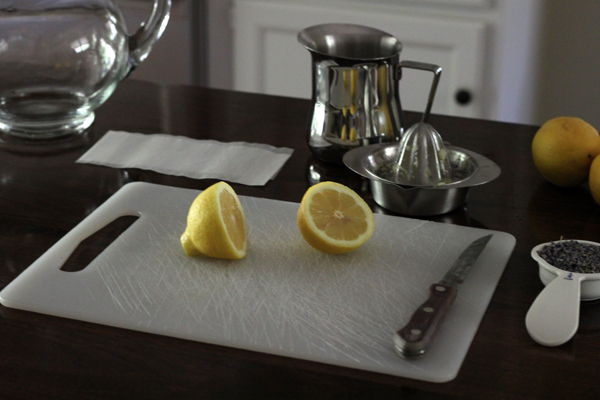 Be sure not to add a lot of extra water, or else the lemonade will begin to loose its flavor and intensity. Add extra sugar and stir, to taste.